BERLIN (Bloomberg) -- General Motors Co. will cover a pledge to increase funding for the reorganization of its money-losing Opel unit with loans and a deposit guarantee, GM's German-aid application shows. GM won't provide Opel with additional cash and will instead give two loans totaling 1.06 billion euros ($1.3 billion) and provide 245 million euros of collateral for government aid to reach the 1.9 billion euros it has offered, according to a PricewaterhouseCoopers report commissioned by the German government that was obtained by Bloomberg News. GM tripled its contribution in March, without saying how it would meet the obligation, after European governments pushed the carmaker to give more than the original 600 million euros in equity it had pledged. German lawmakers are wary of granting GM money after Chancellor Angela Merkel blamed her party's setback in state elections this month on Greek loans. GM is pursuing aid from Germany and other European nations, even after posting first-quarter net income of $865 million, as part of a plan to revive Ruesselsheim-based Opel by building new models and expanding to additional markets. Renee Rashid-Merem, a GM spokeswoman, declined to comment and referred questions to Opel. Andreas Kroemer, a spokesman for Opel in Ruesselsheim also declined to comment. 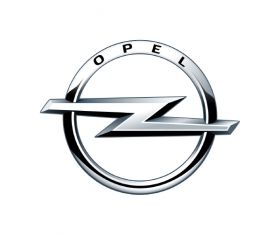 GM plans to eliminate 8,300 of Opel's 48,000 positions. European governments are seeking to avoid factory closures and minimize the job cuts. GM has already said it will close a plant in Antwerp, Belgium, if it doesn't find a buyer for the site by the end of September. Germany had supported a proposal to sell Opel to a group led by Canadian parts supplier Magna International Inc. GM backed out of the deal in November, deciding to keep Opel instead. The Detroit-based automaker is now seeking state aid of 1.92 billion euros to help fund Opel's 3.58 billion-euro reorganization. Germany is being asked to provide loan guarantees of 1.1 billion euros, according to the document, which is dated May 12. The UK is to provide 333 million euros in guarantees, while 437 million euros is requested from Austria and Spain combined. Poland is expected to back 50 million euros in project financing, according to the document. Germany's federal government and the four states with Opel plants would evenly split any loan guarantees, PwC said in the document. Thuringia, where Opel employs about 1,800 staff at the smallest of its four German sites, agreed this week to provide 27.2 million euros in guarantees. None of the other three states has followed Thuringia's lead, though North-Rhine Westphalia, Rhineland-Palatinate and Hesse, where Opel has its headquarters, have said they back aid for the carmaker in principle. Hesse would shoulder 321 million euros as it employs about 15,000 staff in Ruesselsheim, the bulk of the manufacturer's 25,000 German workers, according to PwC calculations. A panel advising the German government on distributing loans and aid to companies under reorganization began deliberations on GM's request on May 25. The panel includes former Schering AG Chief Executive Officer Hubertus Erlen and Michael Rogowski, former head of the Federation of German Industries. A final decision on state aid for Opel will be made by the government's steering committee, which includes representatives from Merkel's office and the economy, finance and justice ministries.